No Pasta Paleo Lasagna | Leek Pasta Sheets! No Pasta Paleo Lasagna With Leek Pasta Sheets! 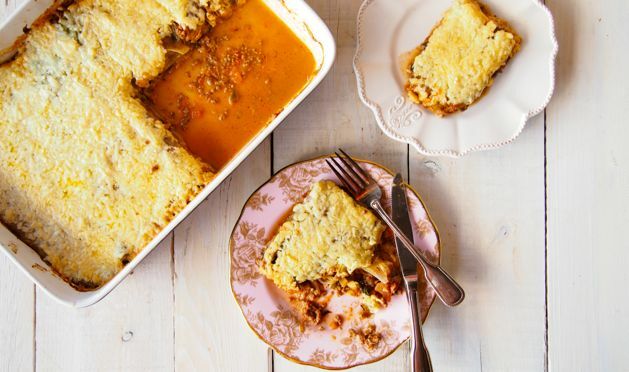 We can’t remember who told us about this crazy cool idea to use leek pasta sheets instead of regular pasta in our lasagna… but seriously THANK YOU! This is seriously the BEST paleo lasagna we’ve ever made/eaten/seen in the history of paleo lasagna. Yes, you can make paleo lasagna with roast veggies like sweet potato, eggplant, zucchini etc. etc. BUT have you ever made no pasta lasagna using leek pasta sheets?! Nope? We thought so. Well now is the time to change that. We say save this recipe for a weekend… or a day you have a little more time on your hands because yes, it takes a little longer than our normal din din recipes but it’s totally worth it! 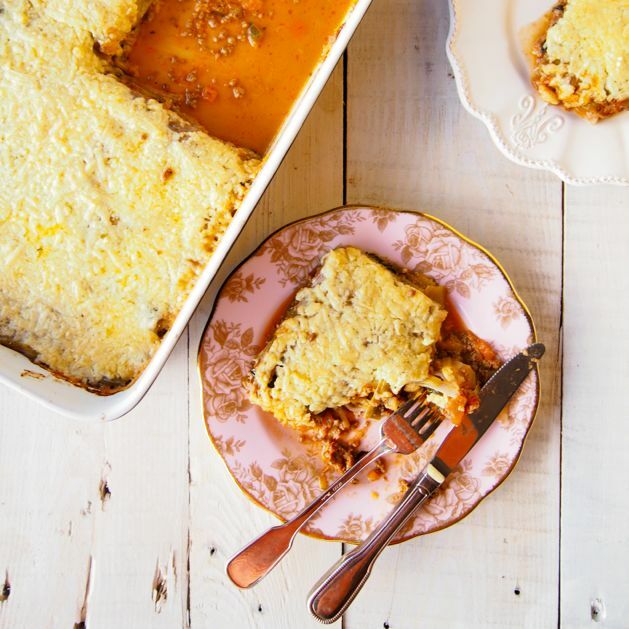 The leek pasta sheets make the lasagna fillings taste even more amazing. The leek has suddenly become the best invention in the world. Actually, we’ve been having recipe wins all over the place this week! 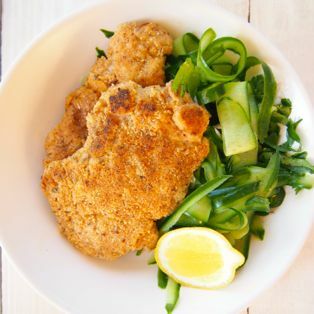 On Monday we made paleo chicken schnitzel! Say whaat? Yep, we did! 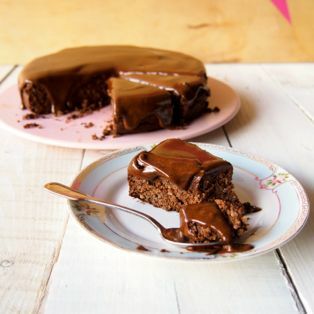 Oh PLUS we made a chocolate fudge cake yesterday… using quinoa! Which made it super moist (what a silly word) and gooey and chocolate and just plain good. Check out the photos! Those amazing recipes are part of our Make Life Merry Challenge! So if you wanna get healthy, happy and feel amazing then join our 4 week challenge! Because really, we’d love to see you there! 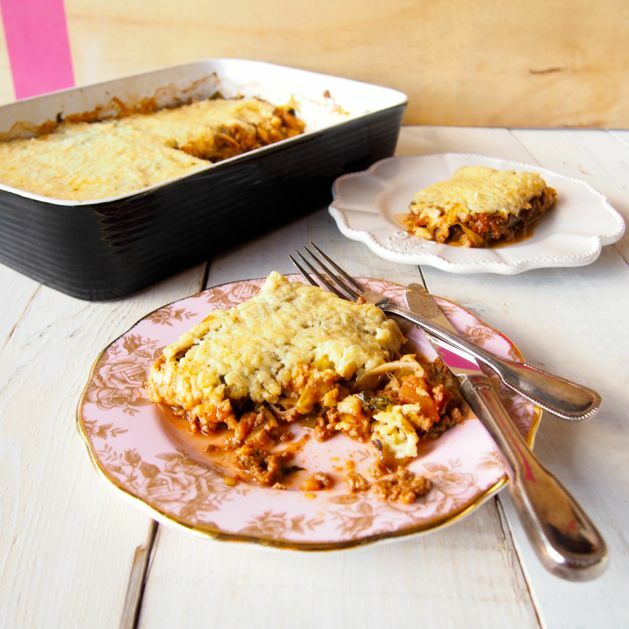 Now… back to the amazingness that is our no pasta paleo lasagna with leek pasta sheets! Yes, back to that. p.s here’s the link to our paleo cheese! Wash and trim the leeks to the width of your lasagna/baking dish (ours is 22 cm / 9 inch). Slice the leek lengthways, from top to bottom, stopping at the centre of the leek (so don't slice right through). Unravel the layers of the leek, these will be your lasagna sheets. The centres of the leek won't be used for the lasagna sheets, dice and set those aside. Place the leek layers in to a large saucepan, cover with water and bring to boil. Allow to cook for 5 minutes or until soft. Drain the leeks, rinse with cold water and pat dry with a tea towel. Now on to the mince filling! In the saucepan heat a little coconut oil and add the onion, leek centres, garlic and tomatoes, cook for 5 minutes, stirring occasionally. Add the mince to the saucepan and stir to break a part, cook for 5 minutes until it begins to brown. Add the wine, tomato paste and all the herbs and spices and bring to the boil. Turn the heat down and allow the to simmer for 20 minutes or until the sauce has thickened. In the baking dish, place one layer of leek, followed by half the lasagna filling. Place 2 layers of leek and top with the rest of the lasagna filling. Place another layer of leek then sprinkle with cheese! Place in to the oven for 30 minutes, allow to settle for 10 minutes before slicing and going to paleo lasagna heaven! The link for our paleo cheese is above! Enjoy! YUM!